The DfE has taken the unusual step of making this commitment before the annual Government Spending Review, which will take place in the Autumn. 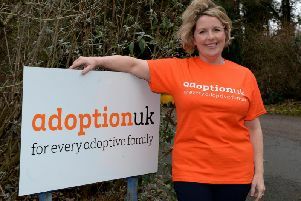 Responding to the announcement, Adoption UK chief executive, Dr Sue Armstrong Brown, said: "Extending the fund has thrown a lifeline to families bringing up some of the most vulnerable children in England." The ASF funds therapeutic support for families in England whose children left care through adoption or special guardianship arrangements. These children are likely to have experienced severe trauma prior to coming into care and need therapeutic support to help them thrive. Dr Armstrong Brown added: "Many families will be mightily relieved about the reprieve to the ASF. But there’s no doubt that anxieties will persist until the Government makes a long term commitment to supporting adoptive families. We will continue to work with adopters to make the case for the help their children deserve." The Department for Education has compiled a Q&A which you can download here.